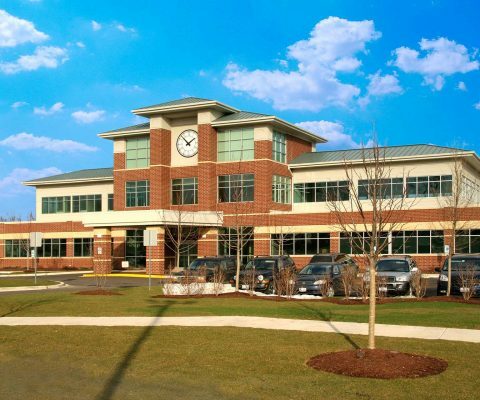 McShane Construction Company was selected as the design/builder for the two-story, 30,460-square-foot Lake Zurich Professional Center located at 350 Surryse Road in Lake Zurich, Illinois. The first floor houses the expanded offices of the Alpine Family Physicians Group. The design of the facility and its location on the site maximizes the site coverage while preserving the surrounding natural atmosphere. The interior of the medical office includes patient care areas, a laboratory complete with an MRI machine, CT bone density equipment and x-ray services. The new administrative area includes the installation of a paperless medical record system. Employee amenities such as business offices, staffing/lunchroom, conference facilities and storage space were also completed.